FMGR’s medical, hospital, and nursing home defense counsel understand the complexities involved in defending healthcare providers and institutions. You benefit from FMGR’s decades of experience representing hospitals, clinics, skilled-care facilities, doctors, surgeons, dentists, nurses, paramedics, EMTs, emergency personnel, administrators, and other healthcare professionals. Whether your defense is best accomplished by validating your actions, or by minimizing your exposure, FMGR’s healthcare litigators apply vast knowledge and experience to your defense strategy. Your matter is carefully analyzed for legal defenses to any and all asserted claims. We at FMGR scrutinize each and every claim for medical privileges, civil immunities, and a plaintiff's strict compliance with all lawful pre-requisites to bringing suit. After initial analysis, you will find FMGR to be communicative and practical. Each claim is unique, as are the goals of each client. 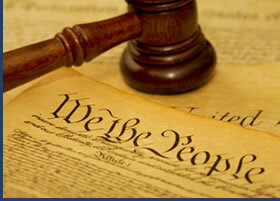 We identify and recommend available legal strategies in your defense to claims. FMGR is committed to applying informed and well-reasoned defense strategies toward your cost-effective defense. This highly regulated area of law requires counsel who understand the relationships between working professionals in modern-day healthcare environments. Each professional plays a unique role in the care of his or her patient or resident. At the same time, each professional has unique licensing requirements, regulations, and standards of care to meet. At FMGR, we recognize that professional compliance provides strong argument toward minimizing claims. FMGR healthcare litigators are also dedicated to researching and understanding the complex medical issues which underlie your defense. That knowledge combines with decades of experience toward eliciting favorable testimony from healthcare treaters and experts, alike. Finally, FMGR healthcare defense counsel focus on limiting exposure from unwarranted damages and frivolous claims. Every case is thoroughly prepared toward trial. At FMGR we are skilled in presenting complex medical concepts to jurors in a positive and understandable light. FMGR's reputation for thorough trial preparation fosters effective negotiations. Where negotiations do not resolve matters in dispute, or are not warranted, FMGR's healthcare defense counsel are skilled litigators working on your behalf.